One of the people who contacted me recently following the NZ Herald article about my reconnaissance squadrons research was Wendy Gibb, daughter of the late pilot Fred "Popeye" Lucas. 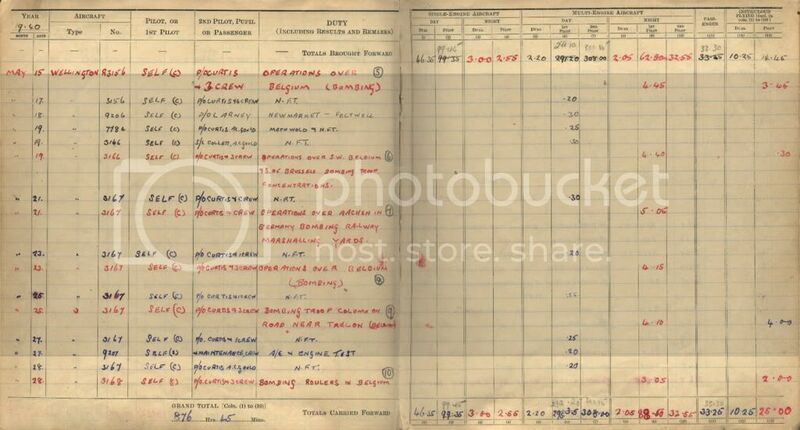 A member of her family had scanned Popeye's flying logbook and she has kindly sent me a copy on disc. It's a superb read and a real privilege to see this amazing logbook, dating from 1936 when he joined the RAF till the 1960's. Popeye was posted from his old unit of No. 10 (B) Squadron to the NZ unit in July 1939. His last flight in a 10 Squadron Whitley Mk IV (K9024) was on the 18th of July 39, and his first flight in a New Zealand Wellington Mk 1 was on the 20th of July 1939, as third pilot (probably just air experience in the type) to captain Flight Lieutenant Aubrey Breckon and 2nd pilot F/O Collins. this was in NZ305. Between July and the 15th of November Popeye made numerous flights in the Wellingtons NZ301, NZ302, NZ303, NZ304 and NZ305 (no others) and then from that date I note the same aircraft appear in his log but under their original RAF serial numbers, the NZ serials obviously having been dropped and repainted over. These were L4330, L4340, L4350, L4355 and L4360. There must have been just these five aircraft in Popeye's Flight or something. In February 1940 different serials begin to appear, all beginning with P. I can list them if anyone is interested. Most interesting is that though several books claim that the NZ unit was called The New Zealand Flight when it was formed, before eventually being designated as No. 75 (NZ) Squadron, in fact every time the CO has signed off Popeye's entires in his monthly check of the logbook, it is signed "M Buckley W/C, OC NZ Squadron". Also the list of postings in the rear of the logbook calls this unit the NZ Squadron, not the NZ Flight. I find this very interesting. They themselves in the unit were obviously referring to themselves as the New Zealand Squadron so I wonder why historians have called it the New Zealand Flight, a bit of revisionism based on the number of men posted there I wonder? 8th of Sep 1939 - Harrow K7012, as second pilot to P/O N. Williams (they flew to Sealand that day and the next day they flew in the same plane to Penross). He may have just hitched a ride aboard this I guess but I wonder if it was part of the squadron and used for training or a hack, as No. 75 Squadron flew Harrows till re-equipping with the Wellington in 1939 and I wonder if this was a leftover of the old equipment? Does anyone have a list of 75 Squadron Harrows? It'd be interesting to know if the kiwis flew them much. 15 Mar 1940 - Popeye and Aubrey Breckon did some local flying in Avro Tutor K6110 - would this have perhaps been a squadron hack and actually allocated to the NZ squadron? Popeye flew 81 ops in Wellingtons and Mosquitoes, as well as all the long hours in Dakotas and Lancasters flying transport, and in Hudsons and Oxfords with No. 1 (GR) Squadron at Whenuapai, which he commanded. He also commanded No. 40 Squadrona dn No. 487 (NZ) Squadron at various times. Amazing guy. Hi Dave - sure does sound interesting...any chance you could post a few pages ? I'll check with the family on whether it's ok, but I'd be keen to post a few of the more interesting pages if they allow it. I'll also check to see if they have submitted a copy to Wigram. 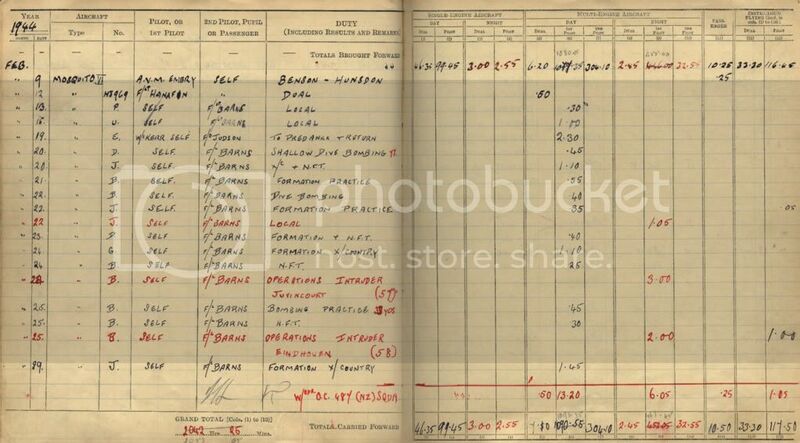 The logbook is a real treasure and the person in the family who has scanned it did a really great job, setting up a full index and photos, etc. What has happened to the No. 75 Squadron Association these days? I tried to search for their website the other day and it has disappeared. I know Red McCowatt passed away about a year ago but I thought someone would have taken it over. I couldn't even find the UK branch of the association's website. I am the youngest son of Popeye and the compiler of the logbook cd. Thank you for your kind comments and interest in Pop and the efforts I put into the huge task of compiling the log book into an ebook for the family. The reason I made the ebook is that my mother stated in her will that Pop's logbook should be given to the Wigram Museum and I was nominated to do just that. However, when I brought it home I got to thinking that once it was in the museum, none of the family would get to see it again. 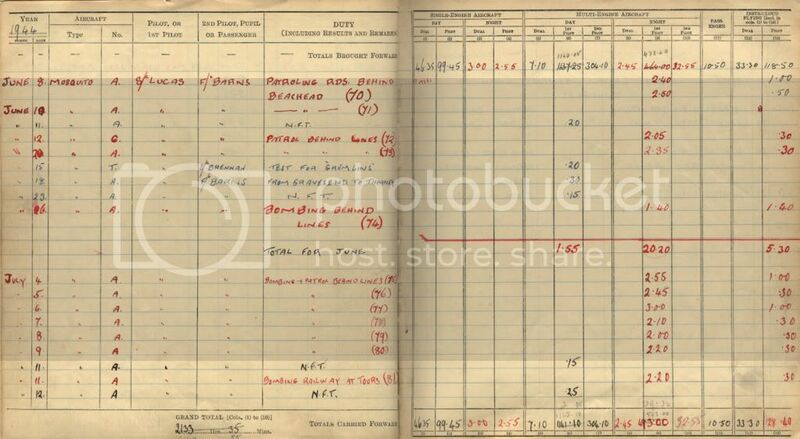 All of us (my family) are very proud of our dear old Pop and his exploits and I decided that it would great if I could somehow copy the logbook so each member could have it. Scanning the the book was quite a task in itself, and then I spent many hours searching the net looking for a way to present it ... downloading (1.2 kbps!) numerous photo album programs, trying them out and discarding them, until I found the ebook program that seemed to be just the "ducks nuts". From there the project grew and grew as I came up with the ideas of adding photos, stories, letters and etc. Took three years in the end!!! Being a pilot myself, I am very reluctant to let Pop's book go and after all these years I still have it on my bookshelf with my own logbooks sitting humbly beside it!! I guess I will have to do my duty one day!! P.S. I have your email address from Wendy and will drop you a line. Welcome to the forum Marty, thanks very much for all the work you pit into presenting your father's amazing logbook like that. I have found it fascinating and have only read a small portion of it yet. It's so nice to see a family who appreciate the history behind the logbook. So many logbooks get sold off and discarded these days. Thanks for the email to. I will post a few of the interesting pages up here tomorrow. Thanks for the welcome Dave. It's uplifting to see your interest and enthusiism in our past heros. I despair at the current global, socialist view that the efforts that our fathers and forefathers put into fighting for our democratic freedom should be vilified and forgotten by design. I sometimes think Pop and his thousands of dead mates would wonder why they bothered! Popeye's first entries for flying Dakotas with the new No. 40 Squadron, Whenuapai. Wonderful wondeful reading..and thank you so much for putting them be put on line here - will be great to re-read one of Popeye's books and / or match it with the Sqns history of the same days. I'm glad you found these pages of interest John. If you have any particular queries about particular missions I can look them up for you. I realised today when looking through again that in 1938 whilst flying with No. 10 (Bomber) Squadron on Whitely IV's, Popeye was the regular second pilot to Aubrey Breckon, another famous NZ bomber pilot who went onto No. 75 Squadron. If ever anyone is looking for a paint scheme for a Whitley model with a kiwi connection that has to be a great one. I'm tickled pink to see harvard1041's appreciative remarks. My siblings and I (rugrats of Popeye) have always had great pride in Dad's achievements, and I must say, that, knowing we could never live up to his well-earned reputation, have basked somewhat in the reflected limelight! I am also pleased to say that my daughter-in-law produced a great-grandson on 21st April and he carries Popeye's name (poor little mite!) - Frederick John Edward (Edward for his maternal great-grandfather). I think it is great that he his remembered in this way. 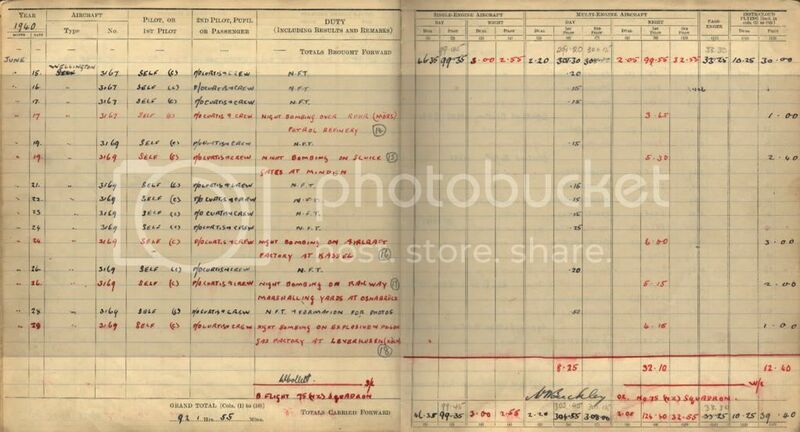 Looking in Dad's logbook, I note that on the 21st April 1940 (one of the few years that matched the 21-Apr criteria) he flew Wellington L4355 to Newmarket, Stradishall and return, and later in the day flew Wellington L4340 to Methwold. One of the traps with logs, is that it is perfectly clear to the compiler where "return" is, but not very clear to avid readers 70 years on! In this case it would have been Feltwell where 75 (NZ) Sqn was based. 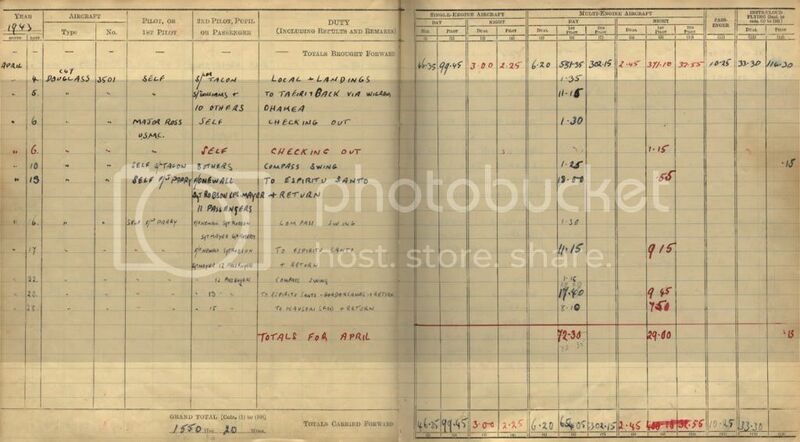 Another point of interest: I note that the June 1940 page is signed off by my godfather, Group Captain Maurice Buckley. "Buck" also had an interesting and varied career, not the least of which was his involvement in aviation on the West Coast. I think this website is great, and I'm pleased that Marty has seen fit to share his remarkable Ebook with Dave Homewood, and by extension, to others who appreciate such things. Welcome to the forum Dave. It's so great to have two of Popeye's sons here. Popeye Lucas was one of the first airmen I recall learning about when I first started to read up on the RNZAF history, I guess with a name like his, and the face that matched the nose art on his aeroplanes, he stuck in my mind. he crops up in so many history books too, and is quite a hero. So It's really nice to now have this personal connection, and I think many others here must appreciate having you guys here too. That's neat that you had Maurice Buckley as your godfather, another legend of the RNZAF. If you recall anything interesting about him or his career that might not be in the history books I'd love to hear more. Do you guys know when it was that your father got the nickname of Popeye? And who gave it to him? Was it an RAF nickname, or did it precede then, school perhaps? That's nice to hear about your grandson too. I agree with Dave - it's great to have you on the forum, Marty and Dave, and thank you for sharing your father's logbook with us. Popeye was an exceptional aviator and his logbook is a fascinating record. I have one Popeye story that you might like to know about. My late grandfather, Joe Ward, was stationed at Whenuapai as a pilot with No. 3 (GR) Squadron in 1942 while Popeye was there as c/o of No. 1 (GR) Sqd. Joe got to know Popeye in the mess and told us what great value he was. Joe wrote his memoirs in the early 1990s and they relate how Popeye helped him out of a tight situation. In late 1942, Joe was flying a 9 (GR) Sqd Hudson (NZ2090) back to Auckland from Wigram, where it has been equipped with ASV radar. On board was one unauthorised passenger - my grandmother, Keitha, who Joe had married a short time before. Keitha accompanied Joe to Wigram in her WWSA uniform, so that they could continue their honeymoon (the wedding and honeymoon had taken place at short notice, while Joe was on leave from Plaines De Gaiacs having the radar fitted to his aircraft). Joe had intended to land at Hobsonville, so that Keitha could exit the aircraft with a minimum of fuss. Hobsonville, however, was apparently closed because of poor weather, so he was obliged to land at Whenuapai, where security was much tighter. Joe contacted Popeye, who was sympathetic to his predicament. Popeye met NZ2090 on arrival with the 'paddy wagon', backed it up to the aircraft, instructed my grandmother to climb on board, then drove her off the station! Joe really appreciated that Popeye had got him out of a tight spot! That's a neat story James. Hi Dave, gee I just looked and its been several years since I last logged on, surprised my Login still worked !!! So, 75 Squadron Association .... I am Red McCowatts successor, as Secretary/Treasurer. Took over at the AGM in MOTAT1 last March, several months before Red died in Rotorua of cancer. I have been very busy since... A newsletter out to members several months ago, and organising the next Association Reunion for 2010 at PNTH + Ohakea,(airshow) in March. I have written to many contacts, inc MOD and the Funeral Association, RSA, Bomber Command, and widows, sons, daughters, nieces of veterans that have passed away. I have spoken at several funerals, and just found another two veterans listed in the RSA last post that passed away at christmas. Called a phone number I found in the white pages on line tonight and spoke with his widow for 30 minutes. She was very appreciative of my call and will send me his details and a photo for my next newsletters Last Post entries. So Dave, it would be fantastic also if on your forum we can ask members if they ever worked on 75 Sqn to get in contact with me to ensure their little part of history is correct before publication... I will send you the files by pdf to your email address soon. So .. 75 Sqn Assn is very much alive and stepping up to ensure the awesome history is preserved. The President is Graham Bethal who owns the P51 Mustang at Ardmore, and recently he took ownership of Roy Max's medals from his widow on behalf of the Association. The Wigram museum will safeguard and display them for us, but they are the Assn's. So we do accept artefact's and memorabilia and records, which can be onloan and returned if required... but not to forget that once anything is sent to Wigram, they keep it and you will never be able to get it back. Their policy, and other museums as well for that matter ....! Welcome back Glen, it's great to see you back on the forum and thanks for the very interesting update. It's really good to know the association is still going strong and it certainly seems like you've put in a lot of effort. Well done. What a shame about all the material lost on the website. Feel free to use the forum as mush as you need to generate interest in the association and in collecting info for a new site. Unfortunately I was never one of the chosen few to serve on the elite 75 Squadron, so I'm not of much use. A number of men from Cambridge served on the squadron in WWII, most of them getting killed in the end. If you have any interesting or quirky facts like the ones above about the squadron in wartime I'm sure we'd be keen to hear them. I'm also curious about the Harrows used by the squadron and when the last one left the squadron. Cheers. This is a question for Marty. Could you please elaborate on the programme you decided to use for your ebook. This would save me time doing the same research into the best method. I have Noel Stokes log book also of No. 75 Squadron and would be keen to make it more available by producing it in electronic form. It appears he flew many of the same sorties as Popeye. Fascinating stuff, and what a great way to present a logbook. Wish a lot more people would think of scanning logbooks and putting them to a CD. I'm also interested in the e-book programme, for a number of projects I have in mind. What a great thread. 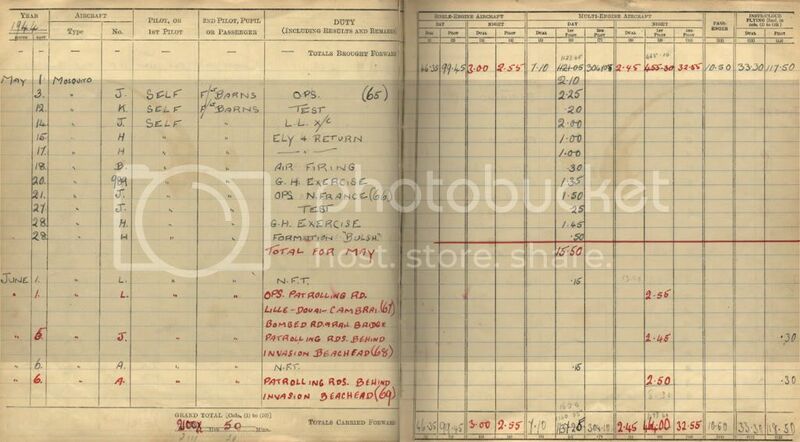 Thanks for sharing some of Popeye's logbook, Dave. I have his Queenstown book but have not read it yet other than little snippets which I found most enjoyable. There's another book?